Children learn about the world around them through experience from a very young age. They listen, observe, remember and imitate others, but it is also important for them to play with different toys. Give them one, and just watch the magic happen. It does not matter what kinds of toys you give them, and what they do with them – whether they get their kicks steering a little car on the floor, or riding a wooden rocking horse. You can see that they are using their arms and legs, coordinating. As soon as they learn how to, for example, ride a little bicycle without training wheels, they will develop a sense of balance. Many family-friendly restaurants have children’s playrooms, complete with a jungle gym where they can climb, run, and jump, while their parents eat and drink coffee in peace. 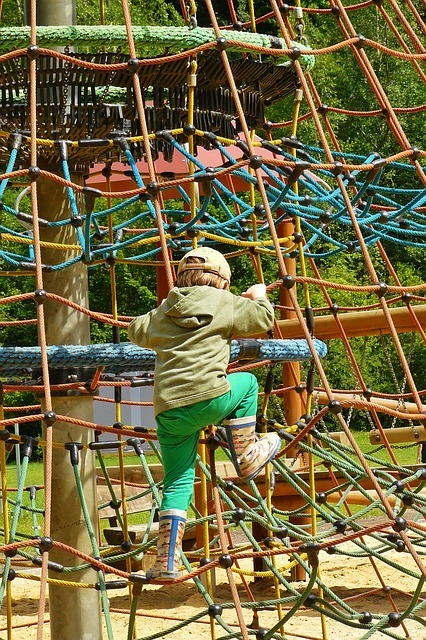 Although restaurants incorporate these with parents in mind, jungle gyms are developed on behalf of the children: they can use their muscles, work on their balance, and interact with other children. It is important to think about your children’s toys beyond the price tag. Money does not automatically grant limitless hours of fun, but your child’s sense of wonder does. 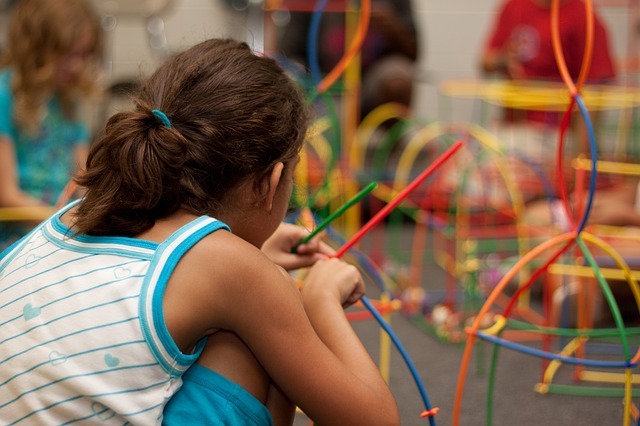 You can let them play with a simple cardboard box, and watch them get creative with it. Soon, it will become their own little castle, where they will be powerful kings and queens, or maybe it will become a space ship, or small house. Give them an old blanket, and they will pretend it is a flying rug, and travel to a land far far away. The simplest toys are usually the best for triggering their creativity. Some children find it hard to get close to others, and it is not easy for them to make friends. However, if you give them an ordinary doll, or any other puppet, children will use them to talk through them, as through role play, and while hiding behind a mask, it is simpler for some children to open up to others. Social skills can be learned just like any other skills. Parents who suspect their children are shy around the playground could make a great investment in setting them up with some drama skills. Educational toys for role play not only help children express themselves, but they can also become the foundations of fun family traditions. When your child learns how to ride a bike, solve a riddle, or finish a hard puzzle, he or she will feel proud of themselves, and you will see how different educational toys help them gradually gain a sense of power. Children won’t think twice to call their parents from whatever they were doing, just to boast off their new skill (even if it is still not entirely acquired. It’s the thought that counts). Praise means the world to them. Modern parenting will have parents praise their child’s every success, but it is important to mention that this is not ideal. There is plenty of debate over which achievements count. When you put your child in a kindergarten, it is not only for convenience, but you can also expect them to learn valuable life lessons. When they play with a group of peers, they learn that not everything belongs to them, and that others will want to play with the same toy, too. This experience is especially important for children without siblings – they must leave their ego phase, and develop understanding of other people’s feelings and emotions. 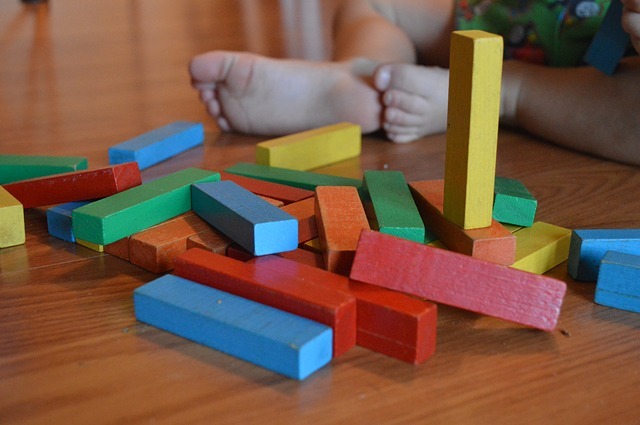 Toys have many benefits when it comes to developing both character and motor skills. Letting them play will have them spending more energy than watching television for hours. Caring parents always have some kind of interactive activity for their tots at hand, rather than have them waste time on the couch at such an early age.